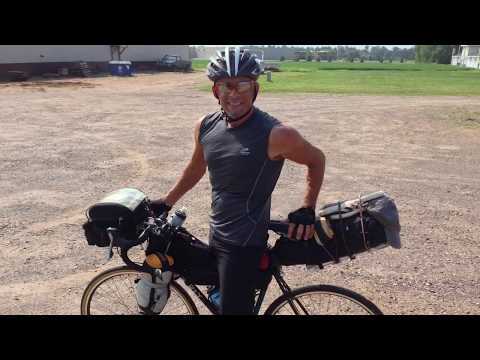 This solo bicycle journey across the US hasn’t been accomplished by one person and his bike, alone, when you consider the people that have helped along the way. You have supported and encouraged me, either in person or from afar, and there are many of you yet to to be met, further along the trail. You have been therefor me, and I will always be there for you. I am grateful to you all, whether you helped build my bicycle, gave me advice or wisdom, handed me money, fed me, housed me, gave simple and constant words of encouragement, or just happened to show up in a thunderstorm on a unicycle to join me for a few miles on the road.